Mount Marcy In Keene Valley: Another Adventure In The Adirondack High Peaks! 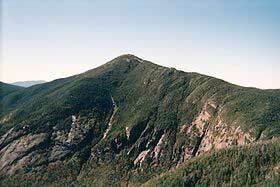 Mount Marcy: Highest Mountain in New York! Standing 5344 feet above sea level, Mount Marcy is the highest peak in the Adirondacks and the highest mountain in New York State. This remote peak is one of the most visited in the world. The trip to the top can be steep and wet and in the months from October to May expect snow towards the top of the peak. The first ascent of Mt. Marcy was in 1837, but it wasn't until 1861 that a trail was cut to the summit. The original trail was later abandoned for the route that is used today. Since then hikers from across the country have climbed to the top during both the winter and summer months. In the winter months, a majority of trail is suitable from alpine skiing or snowboarding on the way back down. Today the most popular route to the top is the Van Hoevenberg Trail, which goes northeast up the mountain. It is a 7.4 mile trail to the summit and is rated a level of difficulty of 5 out of 7. The path goes up along Mount Phelps until you reach the summit and then crosses over onto Mt. Marcy. Learn more! When you arrive at the top of Mount Marcy you will see that the trek up was worth it. The view is spectacular! You can see the summits of 43 high peaks throughout the Adirondacks. On a clear day you can see Mount Royal in Montreal to the north, which is almost 65 miles away! The Mount Marcy hike can be completed in a day, but some choose to hike a portion of the trail, pitch a tent for the night, and continue on the following day. There are campgrounds available for use at mile 3 of the trail. Climbing Mount Marcy is just one of the great activites that you can do in Keene Valley! The Keene Valley region offers outdoor fun and great sights! Climb all 46 high peaks, rock climb the Beer walls, or simply enjoy the sights of the Cascade Lakes and the Ausable Chasm.